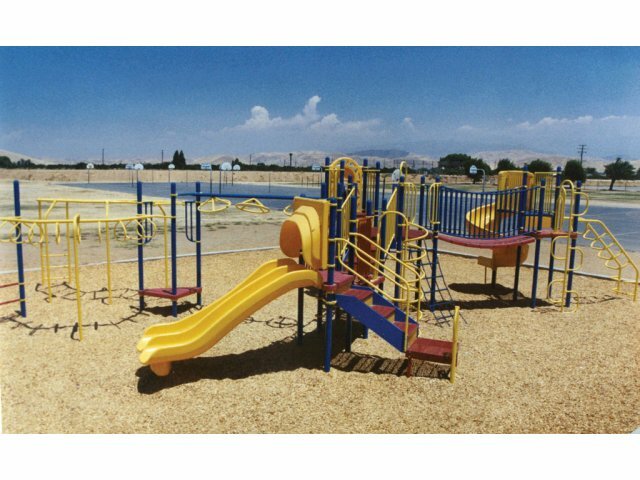 This huge playground set provides lots of play space and is packed with climbing and upper-body activities. It is the perfect way to get your elementary-school students active. 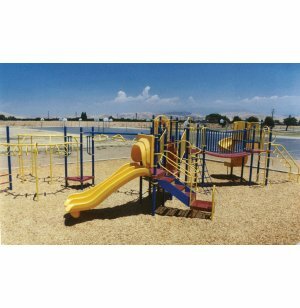 With tons of fun and challenging activities, this fitness playground makes exercising very exciting. Two slides, monkey bars, climbing polls, a bridge and lots of other cool activities help children develop and improve critical gross-motor skills. With so many children climbing on the playground on a daily basis, you want to make sure it is built to last. A heavy-duty punched steel platform is designed to withstand the elements and constant use. Let this playground set entice your energetic students, and they might never want recess to end. Fun Fitness: Includes slides, monkey bars and lots of climbing and upper-body activities. Sturdy Platform: The hex deck is made of fully-welded, heavy-duty punched steel.